Note: Not all services are listed. Some may not be offered in every location. 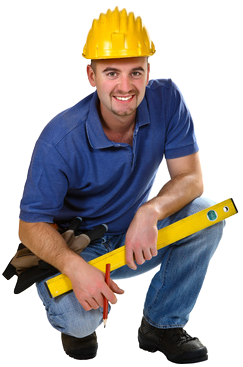 Please call to verify whether the Tradesman in your area is qualified and skilled for your job. 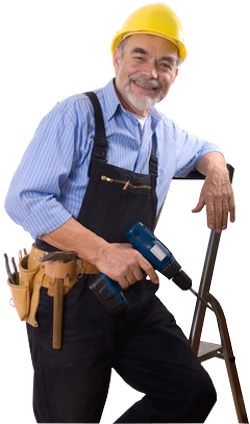 We offer a full range of home improvement projects, including wholesale pricing on select materials to all our customers. Assemble Toys, Play Sets, Furniture, etc. Paint/Stain Handrails, Furniture, Walls, etc. Pressure Washing Decks, Driveway, Patios, Garages, etc. Install, Safety Gates, Baby Proof latches, etc. Repair/Replace Gutters, Down Spouts, Flashing, etc. Repair/Replace Towel Bars, Grab Bars, Curtain Rods, etc. Repair/Replace Windows, Latches, Shower Doors, etc. We have recommended you to our friends and plan on using you for future projects. Thanks again. Excellent job, your Crew was fantastic.